This challenge calls for racing drivers with courage and skill. The Ferrari 458 Italia GT2 can call on an amazing 470 hp to blow the competition away. 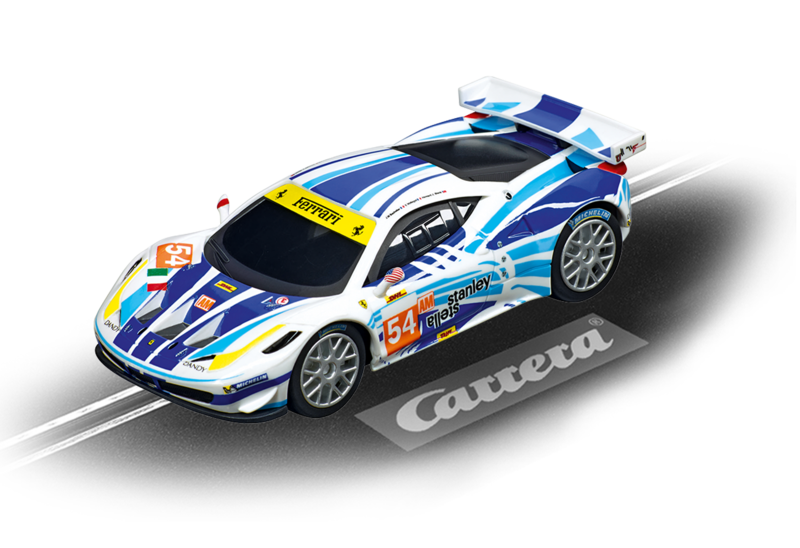 The perfect cornering and powerful acceleration of this Carrera slotcar are what every fan has been waiting for. The 1:43 scale Carrera GO!!! Ferrari 458 Italia GT2 slotcar wins new fans everywhere with top quality authentic details. This Carrera car provides a perfect introduction to the racing world for children of 6 years and up.